Mixed-race dating and marriages are becoming more and more common every day. However, this wasn’t the case a few decades ago. Richard and Mildred Loving were thrown in jail for getting married because Richard was a white man while Mildred was a black woman. They decided to stand up against this bias and had to sacrifice a big portion of their lives fighting against the system. 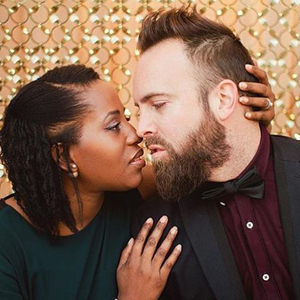 In the year 1967, a law was passed which made interracial marriages legal all over the United States and banned any laws that existed opposing this. Interracial dating is a beautiful thing. You date each other for love but end up learning so much more than you initially had thought. 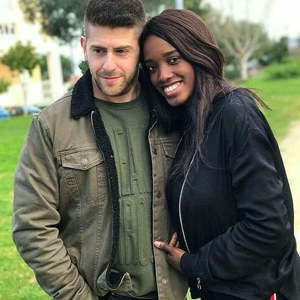 We have made a list of benefits of dating an interracial partner to remind you of little things that you may have overlooked. The main reason for dating anyone and wanting to spend time with them is because you like them. Love doesn’t happen based on the color of the skin. However, it does play a role in the relationship where the couple decides whether race becomes a positive aspect of the relationship or a negative one. When you start dating someone from another ethnicity or race, you also start learning about their traditions and moral values. Every culture is different than the next one. That’s what makes it beautiful and special. Being able to share traditions and values from your culture with the person you love is a beautiful experience. We all think that we know what racism is. We are aware of the stories in the news. Thinking that someone is inferior to you because their skin color is different than yours is a horrible way to judge someone. When you date someone who belongs to a different race and background, you start to hear stories and see things from their point of view. It will prove very beneficial for you and help you look at things from a fresh point of view. You start to share things with your partner when you are in a biracal relationship . One of the many things that you share is your friends. It is very common for couples to introduce their partner to their good friends. A lot of the times, your partner will develop a good rapport with one of your friends or vice-versa. It is an amazing feeling to know that your dear friend gets along with your partner. Another important aspect is that you also learn about different cultures and educate yourself. Stepping out from your comfort zone and meeting people from different cultures or backgrounds can be scary. But, it is also one of the most beautiful things that you will do in your life. Dating someone from a different race certainly does have its challenges. But it also has its fair share of positive aspects. Making friends and being in a relationship with someone from another culture or race will not only teach you a lot but it will also beautify you as a person and help you expand your horizon. Interracial dating is a fairly common thing, right? After all we’ve outgrown all the prejudice and racism of the 1960s. Racist groups and people tend to keep to themselves while a more tolerant majority generation voices their diverse opinions. Well yes…and no. While it’s true we’ve made tremendous progress in the last 20 years, some prejudices remain, even in the mainstream. Some of these attitudes may be spread by hate groups or controversial political figures. But then again, there are also more subtle racist attitudes. You may wonder what does my country think of racism now? 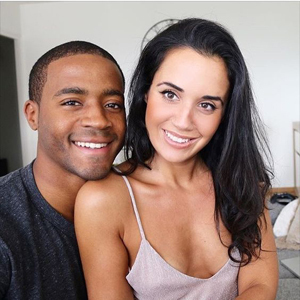 A recent article in MNIAlive suggested that interracial dating is / was more of a scandal in the UK than in the United States, because the media depiction of black culture hasn’t been entirely positive. Some families (or interracial couples) have been shown as disadvantaged, or dysfunctional, in contrast to “normal” same race relationships, or at least that’s what the author has observed. The author also writes that the United States media has recently shown more favourable depictions of black and other minority families on TV and in movies; in positions of power, with happy families, and married happily to interracial partners. The author suggests that black-owned media organisations in the U.S., may be partly to credit, with channels like BET, Ebony and Essence, whereas UK media may not benefit from the same influence. In closing, the article suggested that multiculturalism is more accepted now in the UK than in past years because people simply have had more time to learn, tolerate and accept differences. While the MNI Alive article was surprising, a recent article at the Irish Times was even more controversial, since it suggested that within Ireland, a sense of Patriarchy (as in Irish men owning Irish women) still exists and it may perpetuate subtle or even overt feelings of racism. The easy answer is, of course, that there is no universal feeling of how a country feels about racism. As individuals, as lovers of freewill and fairness, we must become more enlightened. We must not only “tolerate” interracial dating and marriage (which yes, does include sexual experimentation), but must encourage other people to follow their heart and date whomever they want. Remember that there are degrees of racism. Some views are strong and blatantly offensive, while others are more annoying and stereotyping. However, it serves no purpose to get offended and cut off family members of friends for making a mistake. Instead, take the opportunity to teach others why stereotypes are wrong and why people believe them. A little negotiation and patience can go a long way in perpetuating more positive relations with all our friends and neighbours. You have a great opportunity right now to go and find an attractive partner, of any race or ethnicity you want, and see what happens. You can use an app and search locally or even do a more niche-oriented search, with keywords or shared mutual interests. The whole world awaits you so start reaching out to others and see what you find. Anniversaries are special occasions where interracial couples celebrate their love for each other. 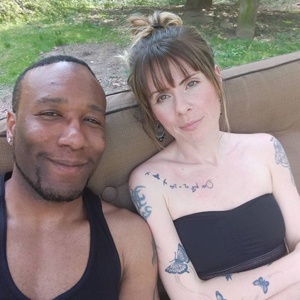 If you’re struggling to think of what to do for your anniversary with your partner of another race, here are a few cute interracial dating ideas. This one is for the lover on a budget. No money doesn’t have to mean that there’s no creativity. An easy way to brighten up your partner’s day is by making a video slideshow of all your best times together. Choose pictures from when you met to where you are today and show them in chronological order with captions of where and when each picture was taken. Pick your favorite love song and set it as the background music. If you post this on Facebook or send it to them privately during the day when they might be at work, it is guaranteed to put an instant smile on their face since they will be so surprised. Have a bit more money to spare? Why not get them something that will last them a lifetime, just like your love. A good quality lighter like a Zippo can be custom engraved with both your initials as well as the date of your anniversary. Each time they light a cigarette or a fire they will be reminded of you and how lucky they are to have you. Old-school never goes out of style. A cute heart locket that has tiny pictures of the two of you inside makes for a perfect romantic gift. You could go the extra mile and invest in a music box that has a picture in it for even more old-school charm that is sure to sweep your partner off their feet. This is even better if your partner is from another country. Say, for example, that you’re dating an African woman from Nigeria, but the two of you are living elsewhere. Why not surprise her with an all-expenses paid for vacation to her hometown where the two of you can see the sights and spend time with her family? It’s a great gift that shows her you are in it for the long haul. Even if you’re both from the same country, nobody will ever turn down a paid vacation with the one they love! This one can be the most romantic experience of your life if done right. Get in touch with your roots by preparing your partner a traditional spread they won’t soon forget. If you’re Indian, surprise them with great curry, home-made naan, and all the other treats you can think of. If you’re Italian, show them exactly why your country is world-renowned for its amazing pasta. Spice up the décor by hanging fairy lights, making a comfortable sitting area, and waiting for them at home with a drink in hand. It will be one of the most unforgettable and romantic surprises of their life and it will make your anniversary of interracial dating a great one. While dating, it’s highly important to keep track of some crucial things in order to avoid any unpleasant incidents. Follow these dating safety tips in order to date safely with your interracial partner. Regardless of whether or not you date online or offline, you need to be aware of certain things while dating. This is the first and the most important thing to keep in mind in your interracial dating journey. Always trust your gut feeling and instincts. This means that it’s perfectly fine to remain anonymous until the time you feel is right to share your personal details and information with your potential partner. Whenever you start to feel uncomfortable during an online incident, immediately stop responding. You can also report strange behaviour online. In your interracial dating online, you must always act with caution. This means that you should only show everyone the information which you feel safe and comfortable sharing. For example, your phone number and home address are something you shouldn’t share with everyone while you are making your profile on an interracial dating website. In addition, when you’re logging into your account from a computer that isn’t your own personal computer, ensure that other people can neither view nor log your password or personal information. If you’re using a shared computer or laptop with others, disable the feature to automatically log you in. Make sure you don’t share your real name, personal phone numbers, email address, home address, place of work or other vital information about yourself with your potential partner until you’re able to establish trust. Also, never divulge personal contact details in the profile or username on any interracial dating site. You must get to know certain important things about your partner online, before deciding to meet him/her in person. Be sure that you are interested in each other by chatting and asking them lots of questions before meeting. Chat and talk with that person and try to know who they really are, so that you won’t be putting yourself into a risky situation. It’s perfectly normal to delay meeting in person until you feel comfortable. You can stay anonymous until you feel comfortable sharing your name or pictures with someone you’re chatting with on interracial dating app. Reveal it only when you start trusting and feeling secure with him or her. You can still chat online while remaining anonymous. Never share your financial info with your prospective partner or send money to them. No matter their excuses, how dire their pleas may be or how politely they request money, never send out your financial info to him or her. This ranges from your credit card info, social security number to the name of your bank. You should report the person if they ask you to send money as he or she may likely be a fraudster.